AnonD-79590, 14 Jun 2015These Chinese companies (Huawei, Xiaomi, especially Oppo) price their phones as if they were S... moreTaiwan! Considering final words,and potential competition(of ex flagships).I would say this phone is a decent buy.Premium build,top notch display(see Anandtech review) and great 13MP camera which can best Galaxy S6 in low light... what can expect more?!? In Macedonia it cost 200eur on a 2y plan,lot less than S5 and G3 let alone S6 & G4. Ill seriously consider this P8 for me. Please update specification about Coolpad Smartphone !!! These Chinese companies (Huawei, Xiaomi, especially Oppo) price their phones as if they were Samsung, Apple, LG or Sony. Do they even know they price their devices like that bec of brand recognition and marketing success? They can go ahead and eat their cheap Chinese phones themselves, like, who buys their flagships anyway? Oppo R5 and Mi4 even got the nerves of being more expensive than Note4 or Z3 in my country. The only known Chinese company that prices their devices right is Asus. Dont even know if that company is from China though, either way, respect for them. Do you even have an AC Modem in your house? all those negative ppl has no idea what ac means and all of them do not even own ac router which would support network speed ..
wer, 12 Jun 2015back cover looks like Iphone 5s settings , notofications 90% same like in apple HAHAH Yeah every other phone looks like an iPhone right? Even Nokia 3310 looks like iPhone 6 for you. Ahmed, 13 Jun 2015The same design as iphone 6 :/ How is this device looks like iPhone 6 ? The only thing they have in common is aluminium body. Other than that, they have nothing in common. Anonymous, 13 Jun 2015this is the iphone of the android world. mediocre specs at high priceActually specs are not that bad if you look at benchmark results. Anonymous, 13 Jun 2015Wi-Fi b/g/n? No ac? Epic fail NO BUYDo you even have an AC Modem in your house? AnonD-402917, 13 Jun 2015I don't really understand why the author picked the LG G3 and the LG G Flex 2 as potential com... moreBecause LG G4 is more expensive than Huawei P8. They pick devices that are in the same price range. Wow, to think this is the guy who slammed, was it Meizu, for having bad battery life. Other than the Mate 2 (due to huge battery, efficient qualcomm chip, and a 720p screen), this company can't create good battery to save their lives! Thank God I got a Z3C... Best decision in a phone ever! I don't really understand why the author picked the LG G3 and the LG G Flex 2 as potential competition, and not the LG G4. Captain? Priced too high for what it can offer. Only apple can get away with mediocre specs and high pricetag. It would be an option if it would be max 350 bucks. 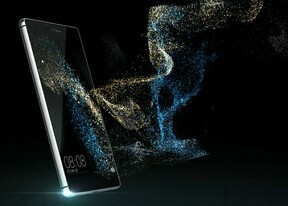 Huawei isn't nor premium, nor flagship at all, no matter what they try to prove. Compared to this, Lg G4's specs feel top notch. Lack of app drawer - dealbreaker. Mediocre cpu and awful gpu - dealbreaker. I like the display though, but if the next nexus comes with that obscure SOC, i'll skip that one too.